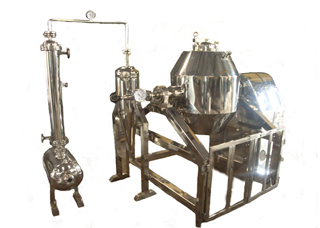 Heated Jacketed Rotocone in combination with vacuum atmosphere ensures complete vaporization of moisture and drying of product. Easy loading and discharging system. Load cell system integration for lab models possible.